We advise and implement the optimal and robust tax structure. So you can focus on your business. Our knowledge, expertise and years of experience in tax allows us to relieve you and your enterprise. Are you 'in control', and how do you remain in control? What reporting obligations do you have and when do you file them? Do you meet all legal requirements? Questions that you should be able to answer without hesitation. We are here to help! Tax litigation or rendering an opinion; both are all about argumentation based on thorough and in-depth tax analysis. 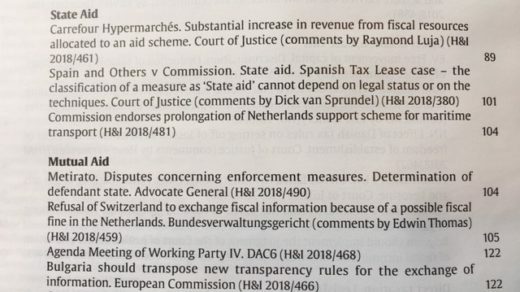 The high profile procedures against, among others, Apple, Fiat and Starbucks have made it crystal clear that EU law and state aid should be an integral part of tax planning. We have got you covered. All rights reserved. Although this website is composed with great care, no rights can be derived from information presented. Our general terms and conditions can be accessed here. Our Privacy Statement can be accessed here.